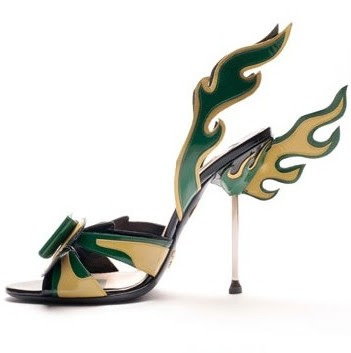 As it often happens, I initially dislike Prada's bold creations, but after I process the pictures and think some more, I usually ended up changing my mind. 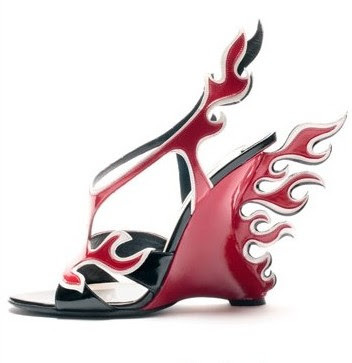 So by the time I uploaded the above images, I started seeing some appeal of these shoes...So let's just call these flame sandals from Spring/Summer 2012 collection good oddities...(especially the pink pair! ).